Traveling with family and friends can be incredibly rewarding, offering experiences and laughs that can bind us for a lifetime. So it might be seem that traveling alone would be a less enriching experience; without our favorite people to share it with, how could it compare? And yet many veteran travelers have memories of extraordinary, eye-opening solo trips, of glorious days when set out alone and found and saw and noticed things they might be never have done otherwise. 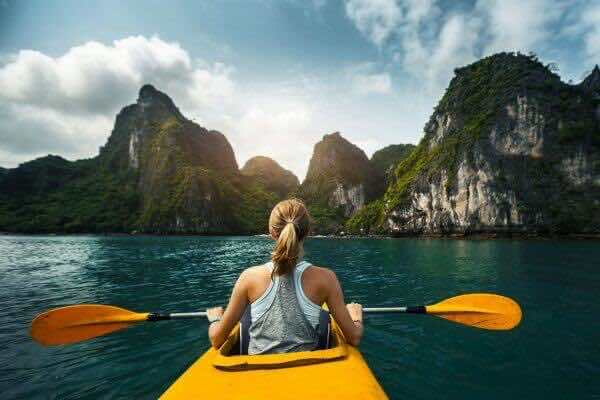 Vietnam is a wonderful country for solo travelers as there are plenty of areas where people can explore, indulge and relax throughout the region. I understand that it can be overwhelming, but the rewards are so worth it. 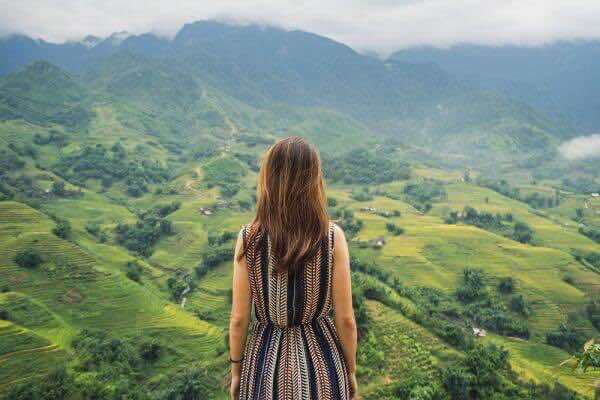 Here are the reasons that solo travel in Vietnam is definitely for me and probably for you. I think there is a misconception that solo travel means you’re always alone. While some prefer to be alone, you can make new friends on your journey. Travel can lead to exciting adventures and meaningful experiences with complete strangers that have a long-lasting impact. Nowadays, there are plenty of apps that offer opportunities to make connections with like-minded explorers. Beyond apps, solo travel will automatically throw you into social settings and opportunities to get to know others and other cultures. 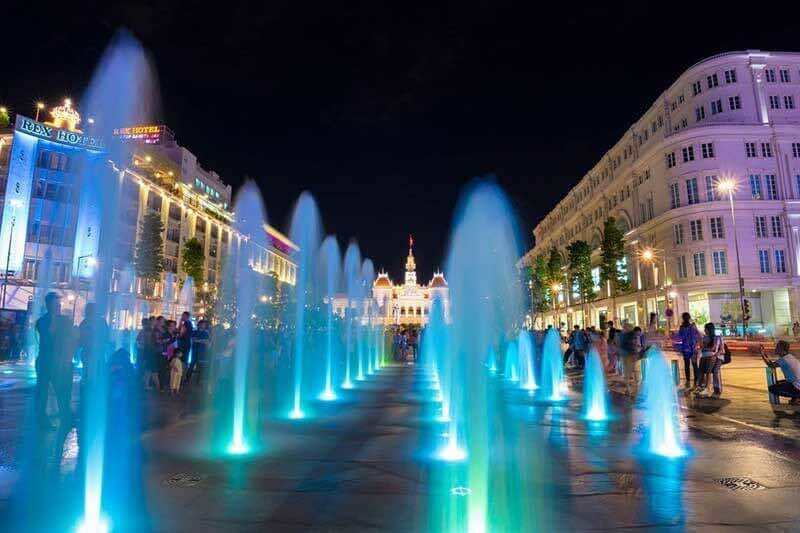 Especially, Vietnam is known as an amazing place for backpackers due to its well-established backpacker circuit, friendly people and chilled out visa situation… You will have more opportunities to make friends when traveling in Vietnam. Ha Long Bay is a popular destination for a truly unique experience. Book your stay on a Vietnamese junk boat cruise and sail through limestone islands that reach for the heavens. If you’re interested in having clothes made, the best city to go to is the coastal city of Hoi An. The ancient town is a UNESCO World Heritage Site and reflects a well-preserved port town from the 15th to 19th centuries. 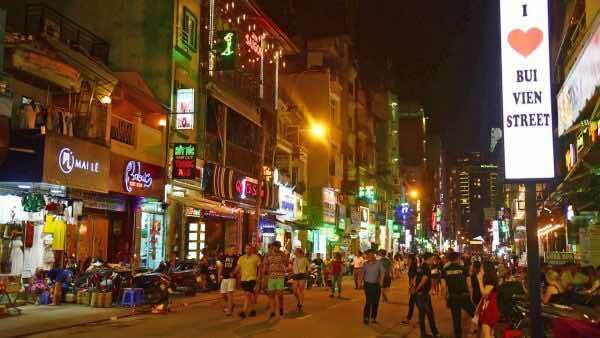 And definitely don’t miss the hustle and bustle of Saigon, the largest city in Vietnam. with both historical and cosmopolitan areas, there’s so much to explore. I know there are people out there who say they aren’t interested in solo travel because they’d rather go with someone they know. There’s nothing wrong with preferring group travel – I like travel with friends too. However, I do find myself cringing anytime I hear someone cancels a trip because a friend couldn’t go. The world is just too big to have to wait around for someone to go with you every time you want to go on an adventure. 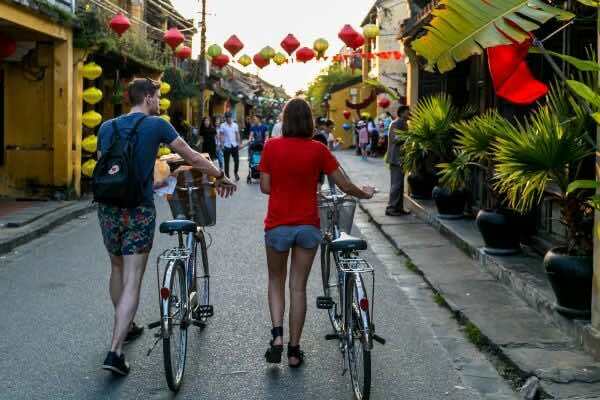 There is no doubt that solo travel will definitely open up freedom and visitors can taste the open road by renting a bike for city breaks in Vietnam. If that’s challenging however, hop on a scooter instead. Touring around the city on two wheels in the fast-paced traffic means there’s no time to notice you’re supposed to be traveling on your own. Cheap moto-taxi options are available on Grab and Uber in big cities. Vietnam is known for the gazillion scooters roaming around the cities and the country sides. 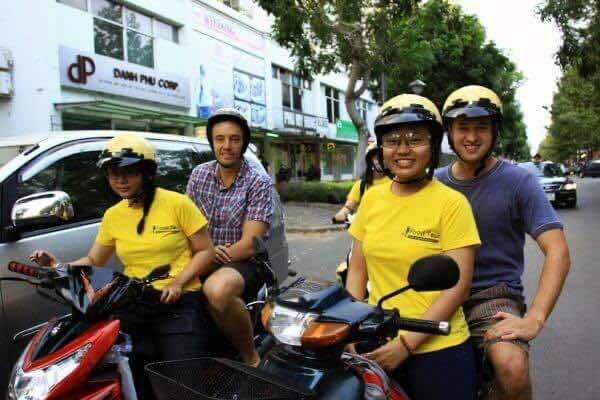 You may love grabbing a cheap scooter rental and exploring various regions of Vietnam on your own. You may get lost and see some truly sensational scenery and meet some lovely locals along the way. 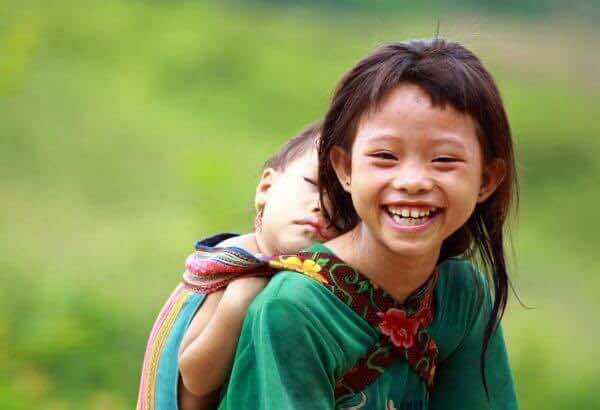 The people in Vietnam are some of the friendliest and accommodating people you will find around Asia. You are always greeted with smiles and the occasional hello. Everyone seems willing to offer help, especially to travelers. Questions will get answered quickly and people will seem to bend over backwards for you in order to help you out. Drop your groceries, its guaranteed that someone will help you pick them up. You will meet new friends and feel like you have found a family away from home. 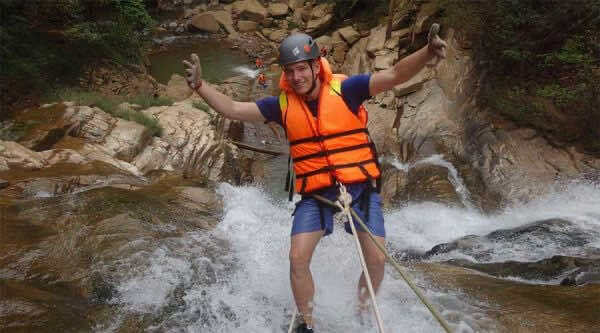 Besides the beautiful sites and cuisine, there is enough to do within Vietnam so you will never grow bored. 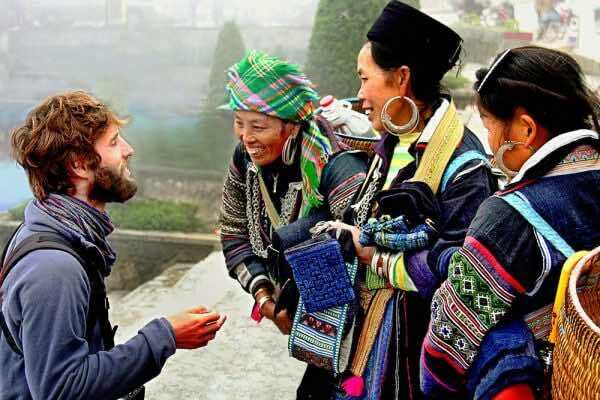 Go trekking and shopping in traditional villages when you visit Sapa. Kayak, swim and tube in between beach lounging while in Ha Long Bay or trek deep into the cave system at Dong Hoi. 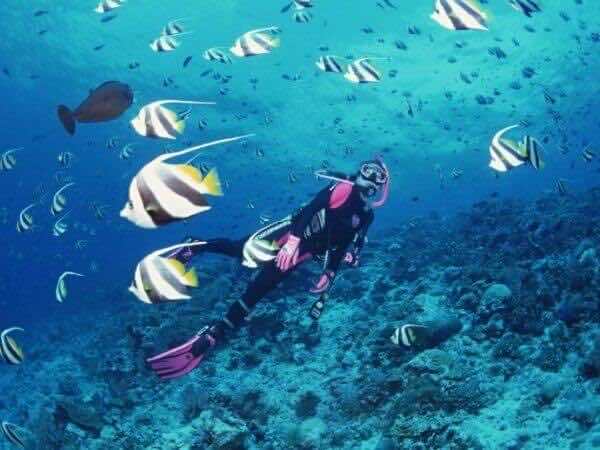 Scuba diving, snorkeling and wind surfing are all viable options when you visit the beach towns of Nha Trang and Phu Quoc and canyoning and motorbike tour are popular with travelers in the highlands. Stick to the cities and listen to live music, see traditional dance and water puppet shows or take a cooking class and learn the language. There are endless activities for everyone’s different tastes. 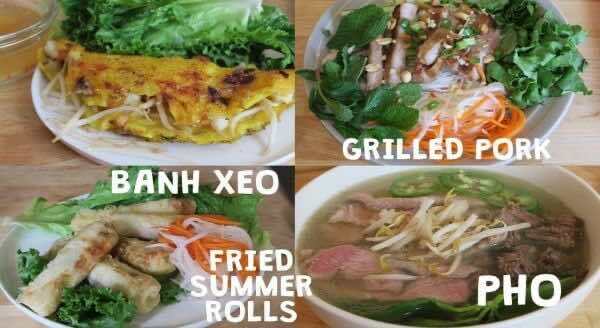 Vietnamese cuisine is popular all over the world so why not come to taste it at it source. Women somehow whip up delicious meals out of the contents of a single bag on the side of the road and tiny street stalls fill the alleyways offering up papaya salads and the popular meat and noodle soup. Fried and fresh spring rolls are served up at the markets and the amount of delicious dipping sauces can make you head spin. 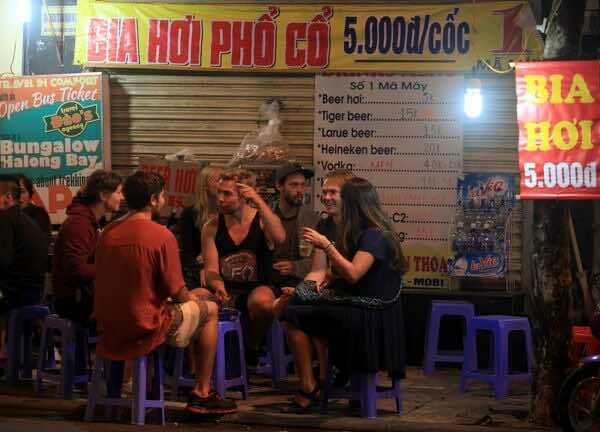 Eating on the street is by far the most exciting – and accessible – way to truly experience daily life in Vietnam, and it’s also where you’ll find the best food. Want to blow a ton of money on waterfront room? Go for it. 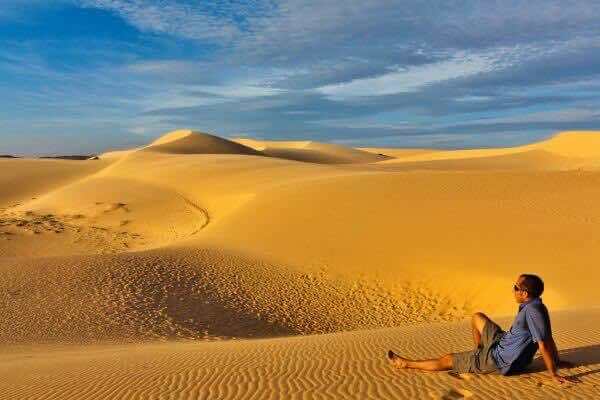 Want to spend next to nothing on food? Fine. Want to go only to free museums, events and attractions? Keep your money. As a solo traveler, you have the last (and only) word on every dollar you spend. Even for a Southeast Asian country, Vietnam is cheap. Traveling here will stretch your money farther and wider and will allow you to have more enjoyable trip. Hostel and hotel rooms can cost you under $5 a night and beer will only run you a couple of cents. Each meal can be eaten for under $2 and a nice meal for two people can cost you just about $10. Food, accommodations, transportation, activities and souvenirs, and all end up costing less in one week than you would spend in a day in some countries. So what are you waiting for? Book your first solo trip to Vietnam today, I promise you won’t regret it.